October 26, 2015 bcalvanocoachingLeave a Comment on Weekly Angel Messages for October 26 through November 1. Weekly Angel Messages for October 26 through November 1. 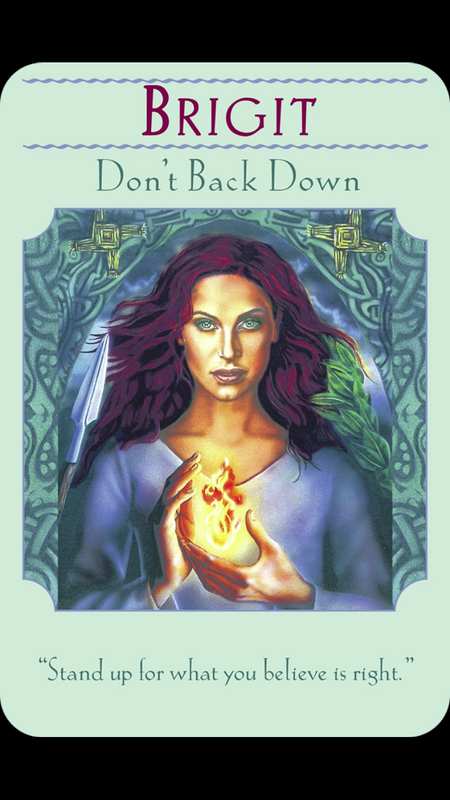 This week I was guided to use the The Goddess Guidance Oracle Cards by Doreen Virtue. 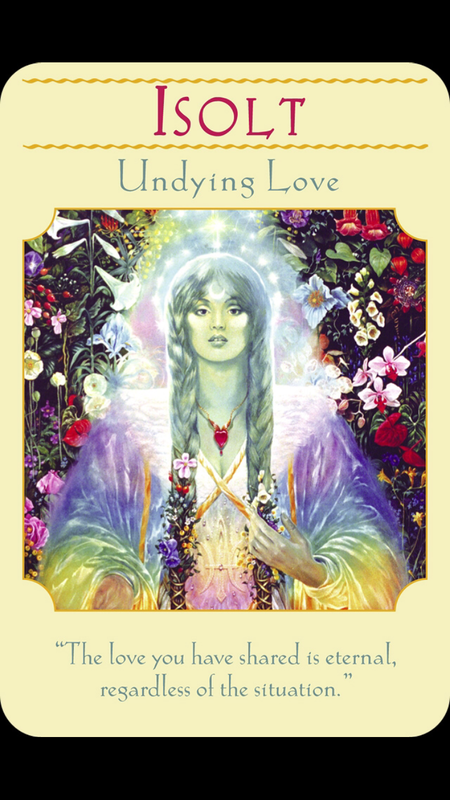 For Monday and Tuesday we have the message from, Isolt: Undying Love. “The love you have shared is eternal, regardless of the situation.” It is a time of separation and endings of certain relationships. Know that the compassion and love you have for the person or situation is never ending. It is only a time of moving in a new and different direction to allow you to grow and fulfill on your life’s passions and mission. Don’t allow past fears or worries to stop you from moving ahead and communicating honestly. Others may not support you but not to worry as you will attract new friends and supporters as you stay true to yourself. 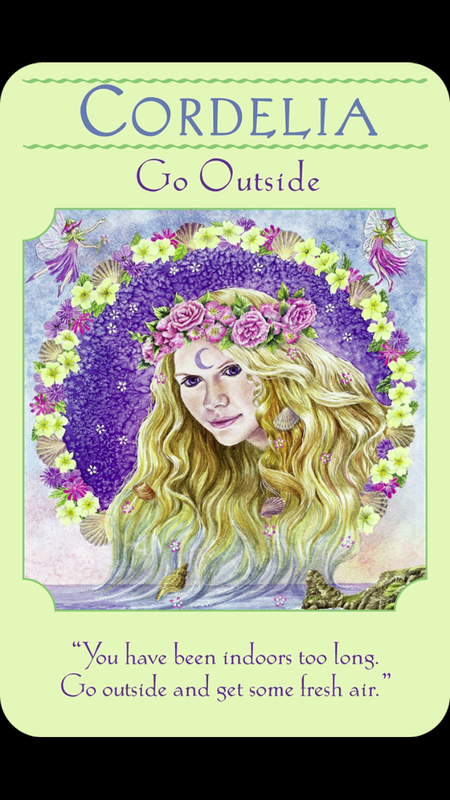 For Friday and the weekend we have a message from, Cordelia: Go Outside. “You have been indoors too long. Go outside and get some fresh air.” Allow nature help you de stress and receive new ideas as you go through these changes this week. Turn your problems and worries over to the angels, take the next right actions and let go. This week the goddesses support us in making life changes powerfully. We are reminded that love exists without separation. We can be true to ourselves and move forward. Staying in touch with nature allows us to release and allow new energy in our lives. You are guided and protected by your angels daily! Call on them often! For a personal in depth angel card reading and life coaching on how to effectively work with your angels to create a life you love, contact me at bcalvano-coaching@usa.net to set up an appointment. Or call 917-324-3726. Bcalvanocoaching offers special programs of ongoing coaching sessions. Spiritual intuitive guidance, angel messages, energy clearing and life coaching. November 20th at Hot Yoga Rego Park, Queens, NY 8:45pm to 9:45pm giving an Angel Healing Guided Meditation. $10. November 22nd at the Tarrytown Awaken Fair http://www.awakenfair.com 10am to 5pm .I will be a guest Speaker and giving angelic guidance and healings/ life coaching in 15 &30 minute sessions. Pre book your session and receive a discount. Stay tuned for exact time of the presentation. • Connect and receive messages from your angels. • Discover the archangels for creating romance, health, and abundance. • Reduce fear, stress and anxiety. Clear and balance your energy centers or chakras. • Trust your intuition and take actions towards your dreams. I will lead a guided angelic healing meditation that will leave you energized, clear and peaceful. ATTEND THIS TALK FOR A RAFFLE PRIZE OF A 60 MINUTE ANGEL CARD READING HEALLING PHONE SESSION WORTH $110. About: Barbara Calvano is the Host of BlogTalk Radio Show, ‘Let’s Ask the Angels.’ Mondays at 1pm EST. Spiritual Intuitive and Healer. Life Coach. Speaker. Author. Over 30 years of participating in personal development courses in coaching, communication, and relationships. Leads classes and workshops. Member of SAG-AFTRA. She is the author of an upcoming book living life with grace and ease. Previous Weekly Angel Messages for October 19th through the 25th. Next Weekly Angel Messages for November 2nd through 8th.